With natural ingredients. Good shopping guide ethical company. Vegetarian Society approved.All our products are purpose built for men and enriched with amazing natural ingredients. 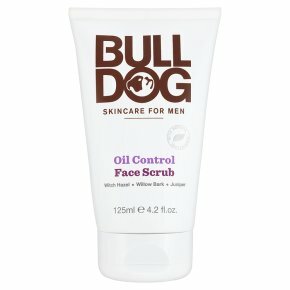 This face scrub contains witch hazel, willow bark and juniper. Specially formulated with purifying charcoal to exfoliate and balance the skin. Directions: Wet face with warm water. Massage a small amount into the skin and rinse well.